From the embassy district of Kaivopuisto there is a splendid view towards the Suomenlinna sea fortress built for Helsinki’s defense. From there on we proceed to the Imperial Senate Square. 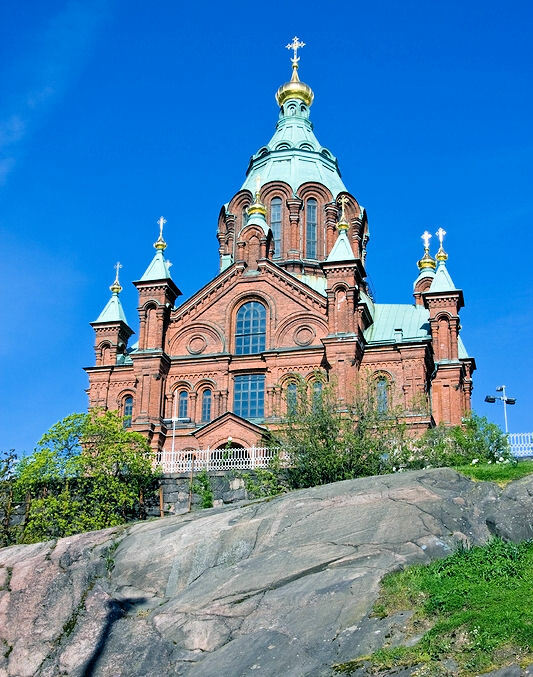 The guide will describe the ins and outs of the birth of the monumental central square by decree of the Russian Tsar, when Finland was annexed to Russia in 1809. The tour continues through sites of momentous events, where the Tsar appeared to the public, where the Finnish estates assembled, where the Finnish Mark was first minted, where Finland got its own stamps, where Finnish resistance fought against the increasing tyranny of Russia and where Finland declared its independence. The grand finale of the tour includes a visit to the Olympic Stadium, which staged the 1952 Summer Olympics, the Sibelius Monument and the Temppeliaukio Church dug into the bedrock once barred by the Ice Age. From the last “must-see” sight we return to the ship.